Balmont Banquet Hall is located in the historical and tourist center of St. Petersburg, just minutes away from Ploschad Alexandra Nevskogo Metro, in Moskva Hotel, with windows overlooking the majestic panoramas of the Neva and St. Alexander Nevsky Lavra. Balmont can be used for any event of any format or scale. 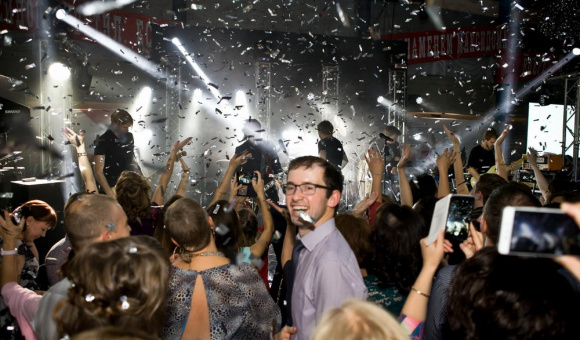 We have state-of-the-art equipment for exclusive concert and show programs. A high-tech stage, a professional lighting system and equipment in the auditorium allows holding events of any level. The technical capabilities of the banquet hall allow not only holding an event at a very high level but also arranging a fantastic spectacular show! Our restaurant’s kitchen is where imagination and creativity know no borders. Balmont chefs are of the highest professional class. They prepare traditional Russian dishes with light European accents. Upon request, they can also prepare a menu of national dishes – European, Italian, Caucasian, Ukrainian – any at all. You can also order a corporate cake in our very own Ontrome pastry shop. 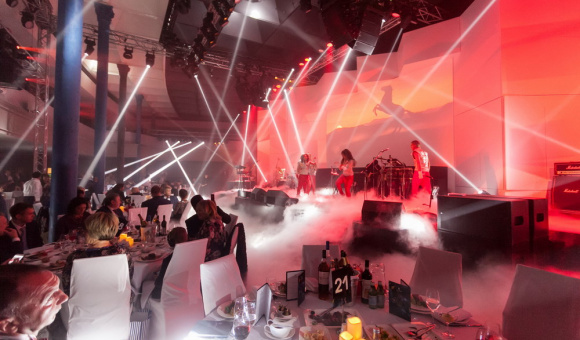 We have helped celebrate major corporate events of such prominent companies of our city as the 25th anniversary of Adamant Holding, 20th anniversary of Maxidom, Russian Railways, Karavay, PromSvyazBank, Gazprom and others. We have smaller banquet rooms available for companies from 10 to 150 people. 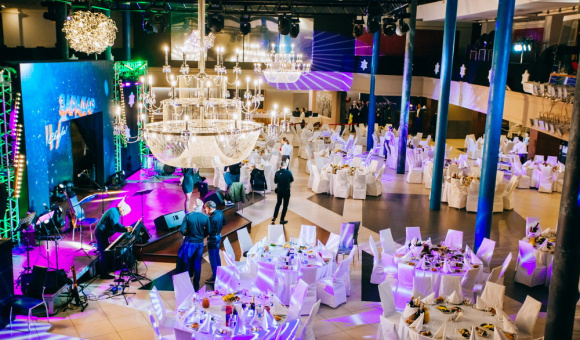 Piazza, Kremlevsky and stylish White Nights Hall will be ideal for weddings and corporate events. Smaller Yamskoy and Tverskoy rooms are recommended for family celebrations. 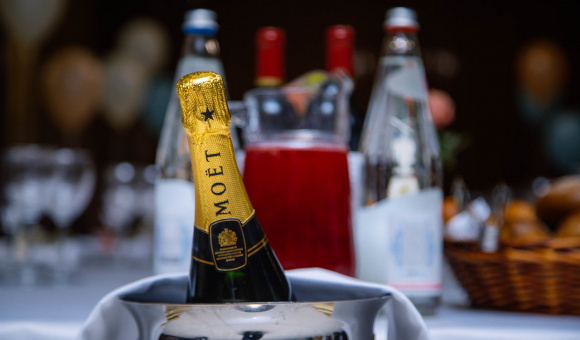 An array of banquet menus and excellent service will surprise even the most exacting guests! We offer a full range of services in the area of event management and offer unlimited possibilities for any celebrations.